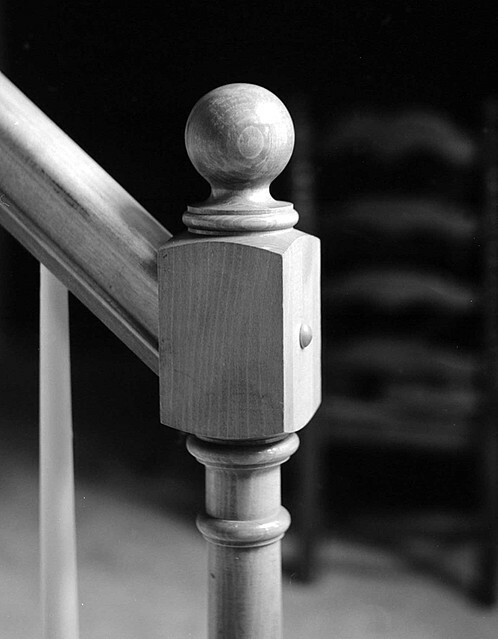 A few nights ago I set up the Rolleiflex on a tripod, put it close to the bottom baluster on the stairs, and shot. This is a crop of the full frame. Shot at minimum focus distance, wide open at f/3.5. The focus looks good, the lens sharp. I’m pleased with this camera now. To finish the roll, my daughter hammed it up. Now, I’m still undecided about the screen. It’s wicked sharp, but the wax creates a horrible hot sopt on the ground glass. Easier to focus, harder to compose. Not sure I like the compromise. I may be putting an RB67 screen in this camera yet. This entry was posted in Repairs and Rehabs, Rolleiflex AUtomat K4/50 and tagged acros, automat, hc-110, k4/50, medium format, MF, photography, rehab, repair, rolleiflex by scottperryphoto. Bookmark the permalink. All I’ll have is old cats as my test dummy. Your girl will have you showing a boy, you can clean guns too.